The Mass Effect universe is the most brilliant and vibrant of all science fiction settings in video games. Whereas those in Halo, Half-Life and XCOM revolve exclusively around war and conflict, Mass Effect’s is set up to be just as interesting in times of peace and calm. Exploring new planets, setting up new colonies, and of course, being introduced to new alien races. The first three games provided us with a handful of new beings, five of which stood out from the rest. 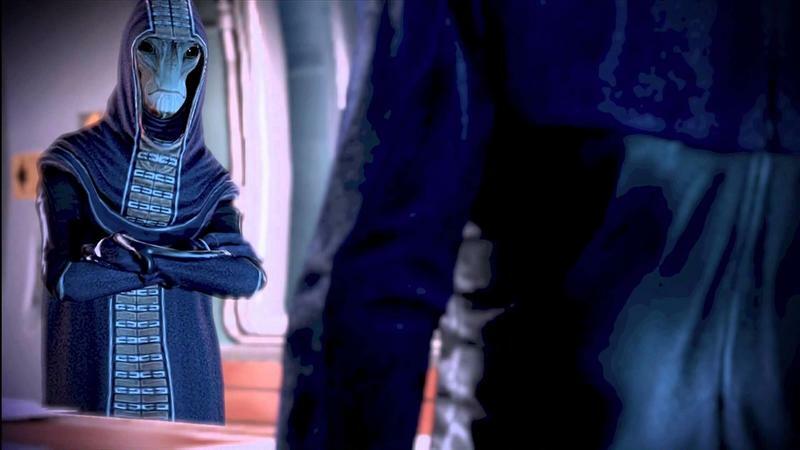 The Asari were the oldest race to join the galactic community, a species of blue people who could reproduce with any race and had the appearance of females. The Turians were a race of warlike beings, and welcomed humans into the galaxy with gunships and a small war. The Krogans were a warlike race to a greater extent and had to be repressed with a genetic mutation, lest the galaxy be destroyed. And then there were the Quarians, a race of space nomads forced to abandon their homes after it was overtaken by AI. BioWare spread the love across these four races equally throughout the series, making sure that at least one playable character represented each race in all three games. However, the last and my favorite of the races didn’t get quite as much love: the Salarians. In Mass Effect’s lore, the Salarians were the second race to stumble across the Citadel, and they formed a pact with the Asarians to improve intergalactic cooperation. 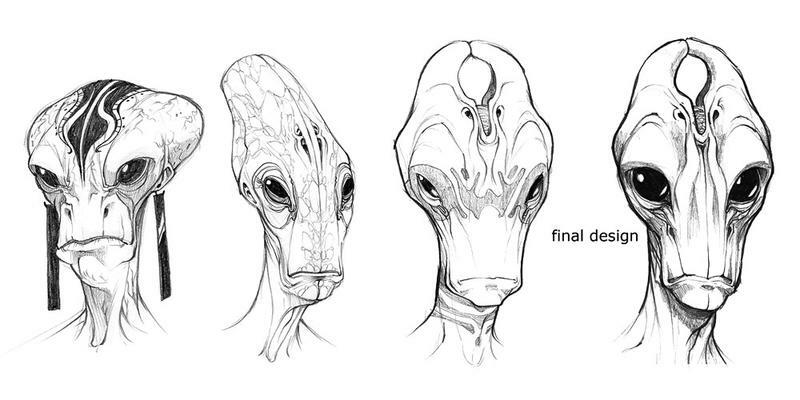 BioWare turned to the classic idea of “little green men” for inspiration in drawing Salarians, meaning their design stems from our oldest and most basic science fiction stories. Unlike the seemingly immortal Asarians, Salarians only live for roughly 40 years because of their quickened metabolism, and this leads them to always feel like they are in a hurry to complete goals. Maybe it was just me, but Salarians also come off as the most untrustworthy of the main races too, not so much because they are outright dishonest but rather because they do what it takes to survive in the galaxy. BioWare put them at the forefront of many flashpoints in intergalactic problems, most notoriously the Krogan Genophage which took away the warlike race’s ability to reproduce in mass numbers. Many Salarians turned out to be smugglers, pirates, and other criminals as well, yet they never held any true back-alley power either. And unlike the other races, which also had their own shady members, it took a while for BioWare to cast the Salarians in a positive light. The first Mass Effect game doesn’t even star a playable Salarian, the only race not represented on Shepard’s first crew. It isn’t even until one of the closing missions that we actually stumble across the first memorable Salarian who came off as a decent person. Captain Kirrahe is a Salarian free from the politics of The Council and one who fights bravely as a noble soldier in Virmire. When Shepard needs a squad of soldiers to distract the enemy AI units inside of a vital research facility, Kirrahe steps up to volunteer his life and the lives of his soldiers. He places himself and his fellow Salarians at risk for the sake of completing the mission, and he does so with style, delivering the “We Held the Line” speech, which is one of the highpoints of the first game. Kirrahe can survive the conflict and winds up with a cameo in Mass Effect 3. 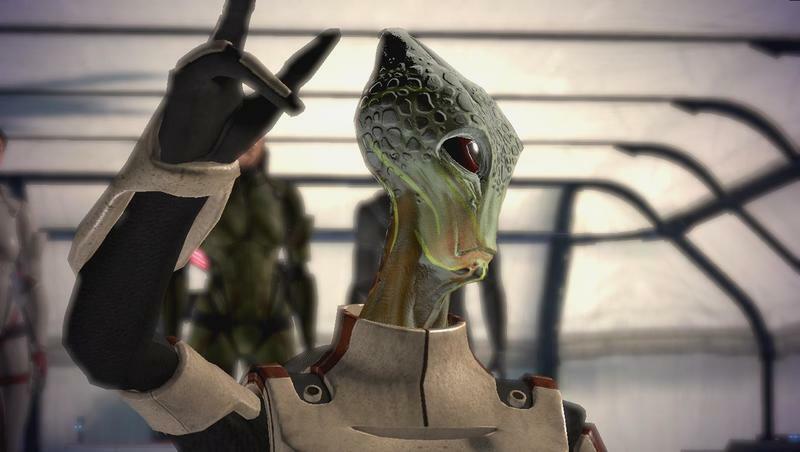 It isn’t until Mass Effect 2 that we get a Salarian to join our crew, and BioWare certainly makes up for this oversight from the first game. Mordin Solus steals the show in Mass Effect 2, becoming one of the franchise’s most popular characters and even eclipsing popular veterans from the first game like Garrus Vakarian and Tali’Zorah. Like most Salarians, Mordin Solus speaks very quickly and approaches every action he takes with a very cool, calculating logic. Fans fell in love with how brutal that logic could truly be. Mordin kills on a whim for the sake of science. Not out of spite or hatred but simply because murder might be the proper step to take in that situation. In his past, he also helped create the Genophage that destroyed he Krogan race, not because he hated the Krogran but simply because it was necessary for the survival of the galaxy. Even in the face of the meanest, snarling Krogan, he never apologizes for decimating their children. But likewise, when the threat of the Krogan comes to an end and the galaxy needs their help, Mordin reverses his research and lifts the Genophage cloud from the Krogan homeworld. This decision isn’t made out of guilt, but rather, it’s simply what is required for the continued survival of the galaxy. Logical to the very end. And yet, beneath this cold, scientific exterior, fans also find a warm heart. A being who loves to sing and hum while he works, taking pleasure not from succeeding but from the work itself. Fans touch his research and listen to his hilariously animated threats. They listen to his conflicting emotions while he combats newfound perspectives that contradict the decisions he made regarding the Krogan. His closing minutes in Mass Effect 3 are some of the saddest in any video game, and yet, he’s the only one who shows no emotion, typing away to release the Krogan cure while the world burns around him. Sorry, but Mordin’s death is far sadder than Aeris’. With Mordin relegated to being an NPC and the honorable Kirrahe barely showing up in Mass Effect 3, the Salarians once again take a backseat in the Mass Effect universe. Dalatrass Linron embodies the attitude of the Salarians best, demanding that the races of galaxy accept the results of the Krogan Genophage and clear the Salarians once and for all of any wrongdoing, prioritizing the political standing of her people over the safety of the galaxy. Without this admission, the Salarians won’t help Shepard fight the Reaper invasion. Without the cure, the Krogans won’t help. Linron suggests creating a fake remedy that will fool the Krogan for the time being, fearing that they will rise to full power once again and target the Salarians first in their campaign of revenge. 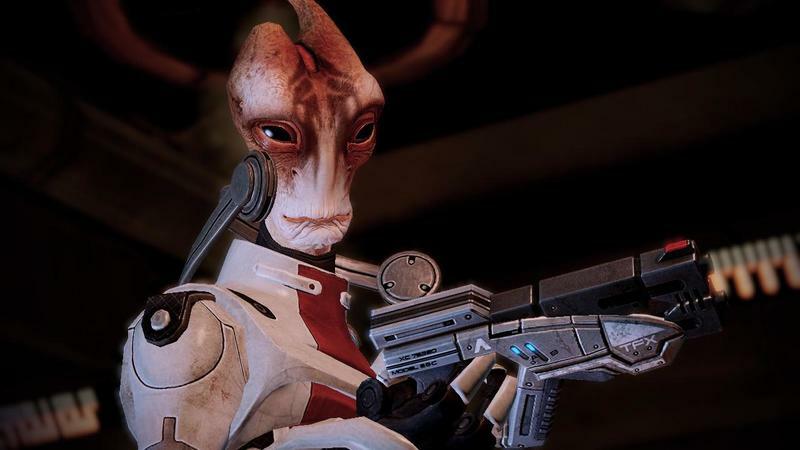 If not for Mordin’s selfless sacrifice, this is the highest profile Salarian we see in Mass Effect 3, and it’s not a positive note to leave off on. Which is why Mass Effect: Andromeda needs a positive image for the Salarian race among the new crew. Throughout the first three games, the Salarians are portrayed as spies, masters of espionage and dark-alley information, hackers, and a race powered by a hunger for knowledge because for them “knowledge is power.” They strike first in warfare, brutally and without warning, believing that honor in battle is a naive thought. However, we see in the NPCs that everyday Salarians are just like humans and can’t be categorized by the stereotypes that unfairly hover about them. At the end of the day, the average Salarian is just as afraid of the Reaper threat as everyone else and is just trying to make it as an everyday citizen of the galaxy, no different from his Turian, Asarian, or Human neighbors. Mass Effect needs another Mordin Solus to show us the softer side of Salarian logic and another Captain Kirrahe to show us there is passion beneath their emotionless features. Mass Effect: Andromeda needs another character to further drive a stake into the heart of the conceptions towards Salarians and further explore the culture of Mass Effect’s most underrepresented race.